The August 2014 V12N8 Awareness Watch Newsletter is a freely available 43 page .pdf document (344KB) from the above URL. This month’s featured report covers Journalism Resources. This Internet Annotated Link Dataset Compilation is dedicated to the latest and most competent resources for Journalism available over the Internet. With the constant addition of new and pertinent information coming online every second it is very easy to go into information overload. The true key is to be able to find the important journalism resources and sites both in the visible and invisible World Wide Web. The following selected journalism resources and sites offer excellent knowledge and information discovery sources to help you accomplish your research and discovery goals! The Awareness Watch Spotters cover many excellent and newly released annotated current awareness research sources and tools as well as the latest identified Internet happenings and resources including a number of neat and must-have tools! 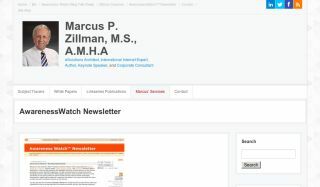 The Awareness Watch Article Review covers Regarding Automated Data Extraction From Online Social Media User Profiles An Initial Exploration of Ethical Research Practices bySophie Alim.